In all my years of teaching, I have always taught classes where a majority of my students needed extra support for math. 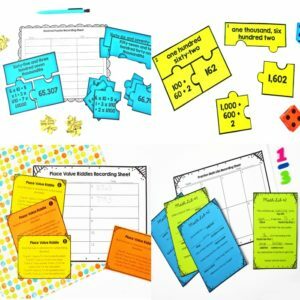 If you are familiar with my blog, you know that I use guided math centers and small group math instruction quite a bit to meet the needs of all my students. 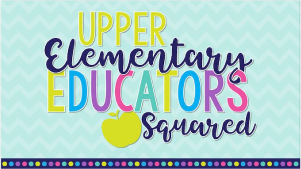 Over the years, I have learned several strategies to effectively support my students and differentiate my instruction so all my students have access to on grade level centers. For my math instruction, the differentiation lies in the level of support the students receive and not as much in the actual work they are completing. For the most part, all of my students are able to complete grade level math centers. 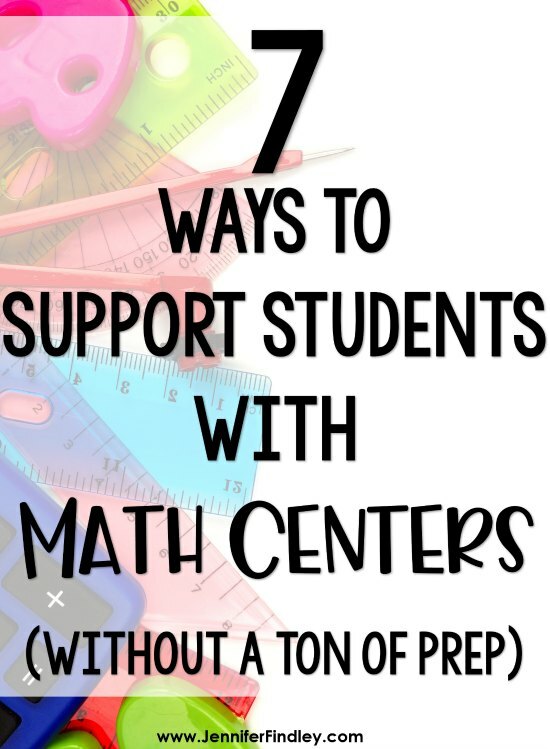 I want to share seven strategies for how you can support your students with math centers by differentiating your instruction and level of support for the students who need it most. 1. Begin your rotation with the students who need the most support at your teacher table. When I do guided math centers, I always start with my students who need the most support first. This allows me to explicitly go over all the skills needed for the centers. You can read more about the materials and resources I use in centers here. By starting with this group first, I am able to re-teach any embedded skills or previous grade level skills that will be needed to complete the centers. 2. 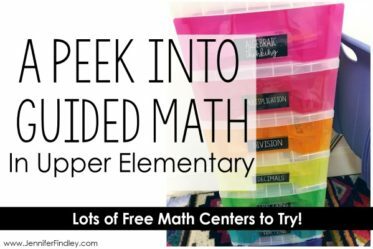 Get your students who need more support started on the most difficult math center. In addition to starting with the group that needs the most support and re-teaching skills, I also often get those same students started on whichever center will cause them the most difficulty (usually the paper and pencil center). We usually complete 1-2 of the problems together as a group. Then, the students will complete 1-2 problems with my guidance at the table. This allows me to immediately clear up any misconceptions or problems. It also enables me to point out any resources that the students can refer back to as they are completing the math center work. By doing this, the students have 2-4 correctly completed problems when they get to the center that will be the most difficult for them. They can refer to these examples to help them finish the assignment. 3. If necessary, give the students an alternative center work and have them complete the difficult work with you. If absolutely necessary, I will replace a math center with another center for the students to complete. However, when I do this, it is because we have completed the difficult center together at my teacher table. This way, the students are not given work that is way above their level to complete independently, but they are still completing the grade level work. 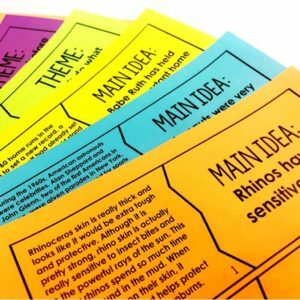 I usually choose to use my no prep printables that are already leveled and ready to go. Each standard has three levels to make differentiating a breeze. Click here to see my Differentiated Skill Sheets for 5th Grade Math. 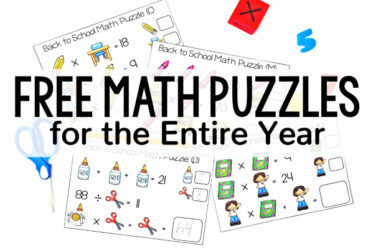 Want to try some of these differentiated math skills sheets to support your students? 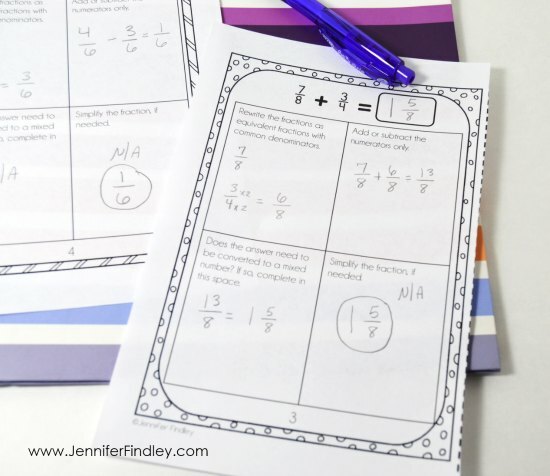 Want the full sets of differentiated math skill sheets? 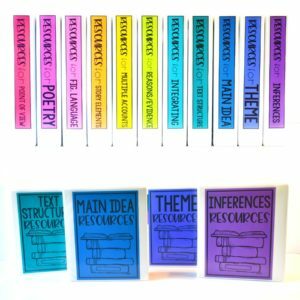 Just click on your grade level to see the full resources in my TpT store. The skill that most often comes to mind with reducing the quantity of work required is long division. Long division can be the most difficult skill for struggling math students. They often take more time to complete the problems until they gain better fluency and numeracy skills. If I assign the class 10 long division problems (or a similar skill), I will reduce that to five problems for my students who need more support. This allows them to complete the same grade level work without the pressure to complete at the same speed as their peers. 5. Point the students in the directions of notes that will be needed to complete the centers. Since I do not use a math textbook, my students have math interactive notebooks that they use to keep track of their math notes and practice problems. 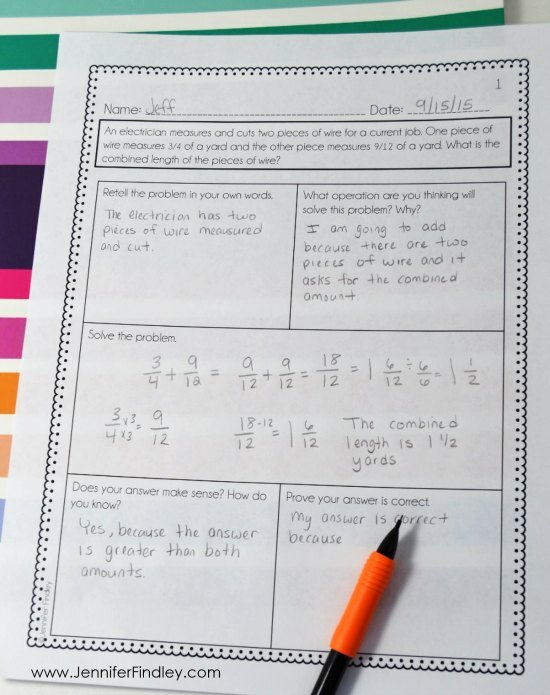 Click here to read more about what we include in our math interactive notebooks. When I meet with my group that needs the most support, I will ensure they know exactly which page in their math notebooks to refer to if they struggle with their work. This removes the learned helplessness that many students have with math and provides them with a much needed scaffold to complete the grade level work. 6. 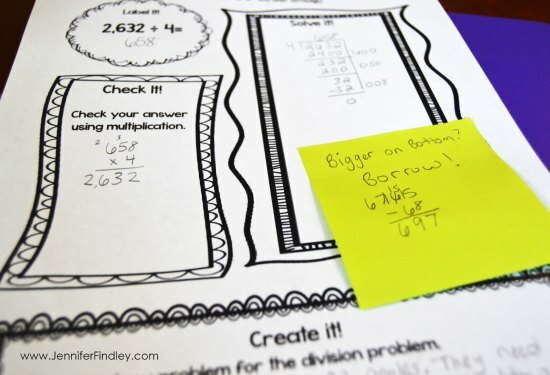 Give post-it note cues for the students to refer to as they complete the math center. This strategy for differentiation is one of my favorites because it is completely individualized. When I am working with specific students, I analyze their errors and what they are struggling with. I will give them a post-it note with cues or reminders to help sure they don’t continue to make the same mistake. They keep this post-it note with them on their desk or in their math notebook to refer back to often. Here is an example of a post it note cute that I gave a student who was having difficulty with subtracting correctly during long division. 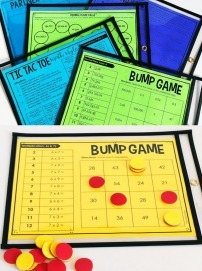 These Division Printables can be found for FREE by clicking here. 7. Provide step-by-step directions or reminders for the students to use. Specifically, I use this strategy when dealing with fraction computation and word problems. These are definitely skills that my students require more support and scaffolding to be successful with. I use work mats with reminder steps and even organized graphic organizers to help the students organize their thoughts while working out these more difficult skills. 1. Step-By-Step Computation Support – This is a fraction computation resource that reminds students of all the steps needed to complete the computation. The students record each step of the process in the correct part of the mat. 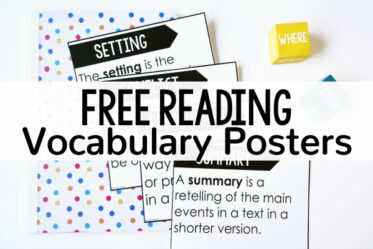 Click here to check out this resource in my TeachersPayTeachers store. 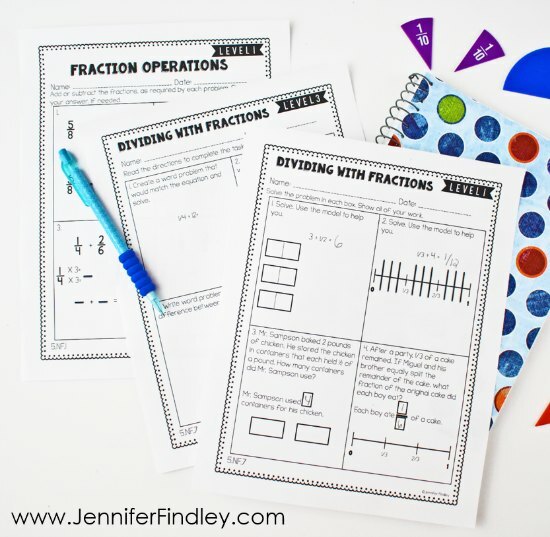 Want some FREE generic fraction operation step-by-step mats for adding and subtracting fractions? Click here! 2. Step-By-Step Word Problem Support – And this resource is for word problems. The students use the organizer to help them think through the word problems. I have this available for 4th grade (click here) and fifth grade (click here). 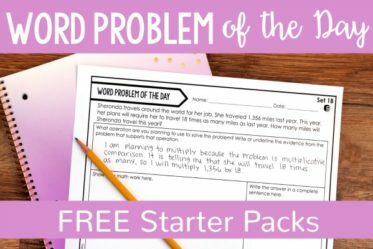 Click here to grab some FREE step-by-step word problem organizers that work with any word problem. FAQ – How do I bridge gaps and re-teach necessary concepts? I have always taught classes were a high majority of students struggle in math. It is often necessary that I re-teach and rebuild the foundation for many of the 5th grade standards. Even my “higher” students often don’t have a strong conceptual understanding of math skills. Before I teach any new topic (decimals, fractions, etc), I make a list of all the embedded skills that the students are expected to know from previous grades. I then do a quick and intensive 1-3 days worth of lessons on those skills. We go deep during those days and I use this time to re-teach all the students in a highly conceptual way. This typically benefits all the students. Even my students who grasp the content quickly are forced to go further with their explanations and proving their thinking. For my students who need more extensive work than this, I use my small group time to reteach to their specific needs. To read more about my grouping in math, click here. I have used this method of differentiating and providing support for several years with huge success. I have had students come to me having never passed a state assessment and pass the fifth grade one with me. I truly believe this works because I am building that foundation (and re-teaching previous skills) while still expecting them to complete grade level work with necessary support. Do you do any of these strategies with your math centers? Do you have others that work for your students? I am so glad that you said that you take the time to reteach and review the embedded standards that the students will need to master the 5th grade standard.I started doing this the 2nd half of the school year this year and saw great results, I cannot wait to start of next year doing this. I am a 2nd year 5th grade teacher and I really struggled to teach the students who were behind. Thank you for all of your informative posts! I look forward to using the post it note strategy! 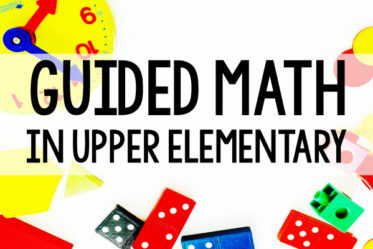 I love using guided math centers in the classroom, and, like you, see great improvements in my students– particularly when using a scripted curriculum. 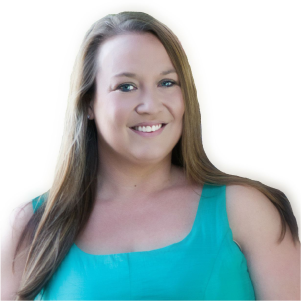 I’ll be sharing your blog with my teachers! Jennifer, Now that school is out for me, I’m starting to plan what I want to do next year. I love love love math centers and have enjoyed reading your blogs and checking out your resources. I wish I could observe you teach. I teach 3 sections of 5th grade math (usually around 60 kids) and I have done a variation of many kinds of centers. However, if you do centers in review skills 2-3 times a week, how in the world do you teach all the new and required standards? I teach something new… Almost every day, and I still struggle to get everything in before assessments. I have 50 minutes to teach each class and that is including transition time… Eek… But these activities are so inportant… I need to find a way to make this work. Any advice? I was wondering this say thing! How do you get everything taught? Do you do whole class instruction? Yes, I would like more information on how you cover everything. Thanks!